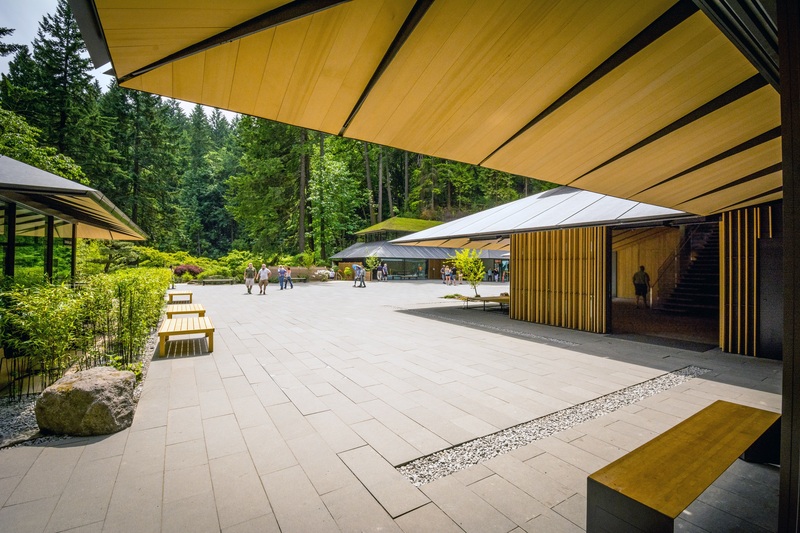 We are thrilled to announce that Portland Japanese Garden has officially achieved LEED Gold Certification for its Cultural Crossing Expansion. 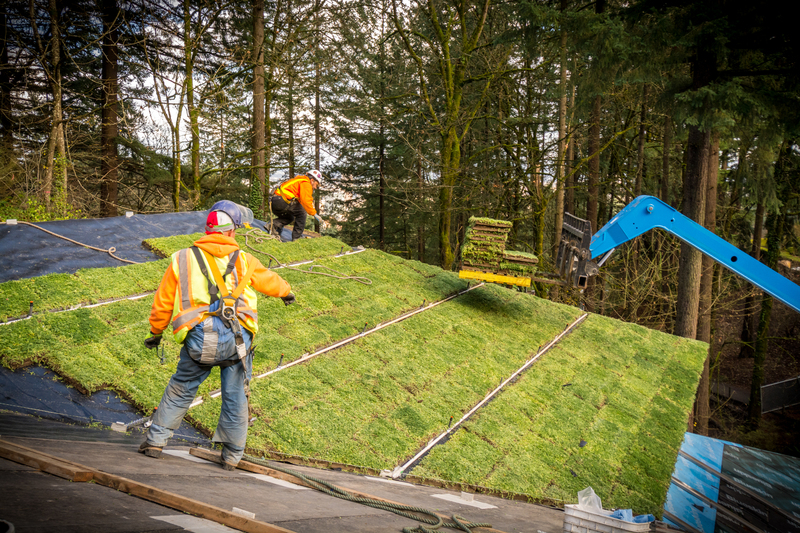 LEED, or Leadership in Energy & Environmental Design, is a globally recognized symbol of excellence in green building. The LEED certification ensures electricity cost savings, lower carbon emissions, and a healthier environment. 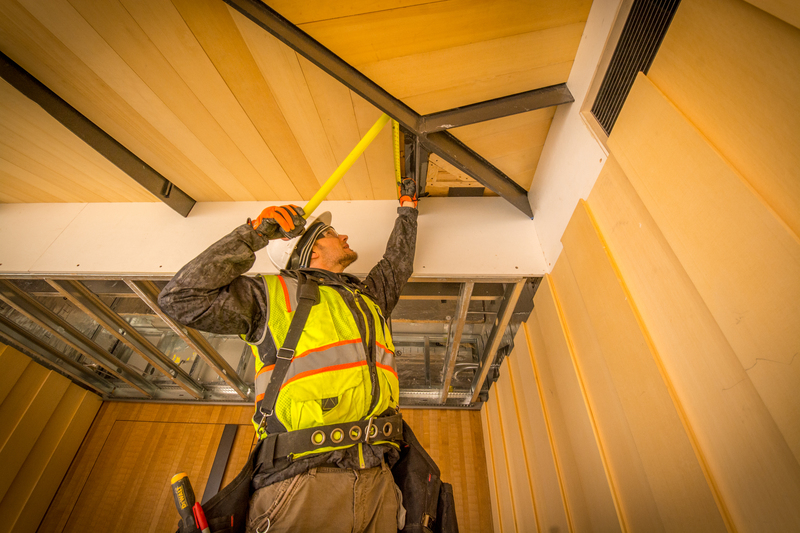 Projects pursuing LEED certification earn points across several categories, including energy use and air quality. The more points you earn, the higher your rating. A project then earns one of four LEED rating levels: Certified, Silver, Gold, or Platinum. 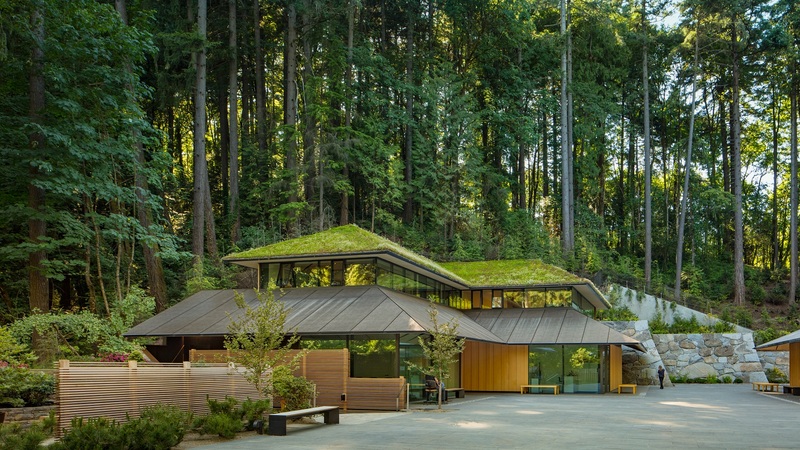 Green building practices can look deceptively simple. In the Cultural Crossing project, which officially opened to the public April 2017, many of the elements added for LEED certification will never be seen by visitors. “The project is designed to optimize sustainable strategies in order to improve the buildings’ social and environmental impact. Early energy modeling and analysis helped inform sustainable design decisions,” said Jonah Cohen with Hacker Architects, the firm that worked on the Cultural Crossing project in conjunction with Kengo Kuma and Associates. Several sustainable strategies were incorporated into the design: a comprehensive thermal comfort system that includes a ground source heat pump using geo-thermal wells bored 300 feet deep into the earth. 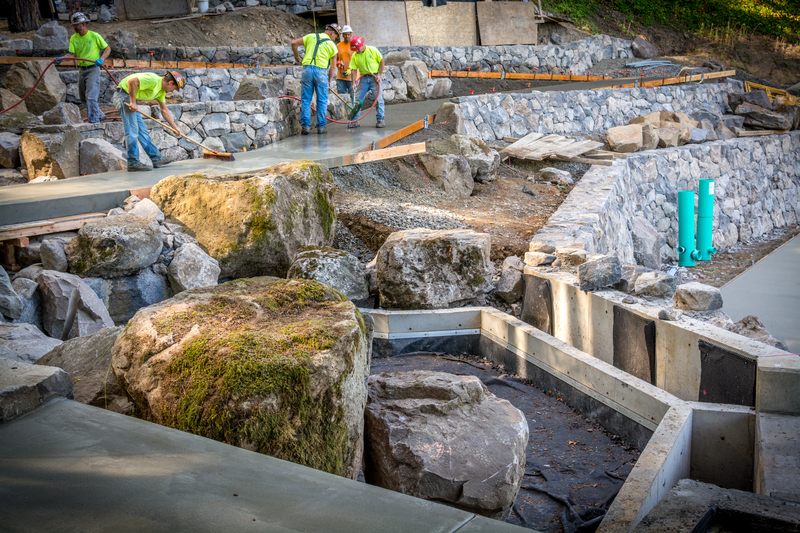 Below the parking lot is another hidden gem – or more specifically a hidden holding tank. To ease pressure put on the city sewer system by rainwater runoff, Garden Curator Sadafumi Uchiyama designed a unique system to channel rain water. A stone creek was added to run from the top of the hill, all the way down. Dry in the summer, the creek channels runoff during the rainy season down the hill, connecting the upper and lower Garden areas. Water now enters the hidden holding tank under the parking lot where it will slowly release into the City sewer system. The capacity of that detention system is 3,600 cubic feet, which is 26,930 gallons of water, Uchiyama said. “The geothermal wells, radiant flooring, and heat recovery ventilation system are also highly efficient. They significantly reduce the amount of energy needed to heat, cool, and ventilate the buildings,” said Cohen. Combined, Cohen said, these systems diminish the need to burn fossil fuels on-site, eliminate the need for large noisy mechanical units, decrease the size and quantity of bulky air-handling duct work, and, ultimately, reduce operational costs. Likewise, intentional strategies help improve the overall quality and performance of the buildings. Ample daylight in all occupied spaces is a result of the openness of the design. Floor-to-ceiling, wall-to-wall windows reduce the demand for electric lighting while providing an even and soft quality of interior light, moderated by deep roof overhangs. Large sliding doors on the outside corners of the buildings interpret traditional Japanese vernacular architecture and help open the buildings to courtyard breezes.This strategy, in tandem with the deep eaves, allows the buildings to be less reliant on mechanical cooling during the hot summer months. Building designs incorporate large sliding window walls that allow access to light and fresh air. Atop each of the buildings in the Cultural Village are “living rooftops” made of porous thin ceramic panels. 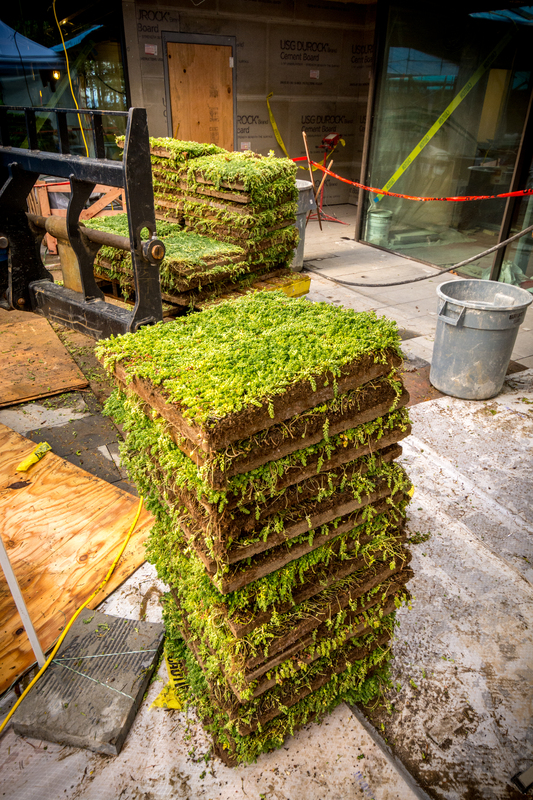 Native sedums were selected, cultivated offsite, then placed onto the roof. 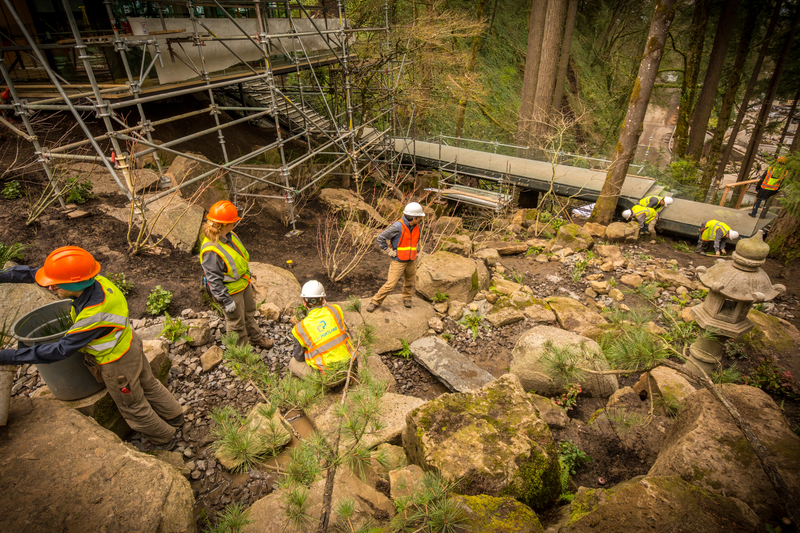 The last step in the construction process was re-landscaping the site, greener than before. Before construction began, many trees and shrubs from the construction site were carefully removed and taken to an off-site storage area. Those were all reintroduced to the new landscape after the new buildings were in place. 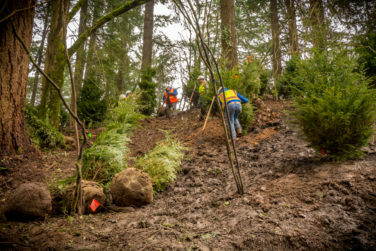 In addition, hundreds of new, native plants, shrubs and trees were added, creating a beautiful, green environment with reduced erosion, better soil health, and improved air quality. “All of this is necessary for the literal and metaphorical growth of the Garden,” said Kengo Kuma. Kuma believes in environments surrounded by fresh air and nature. Materials such as wood and stone – were chosen to reflect the surroundings – and were intentionally placed. 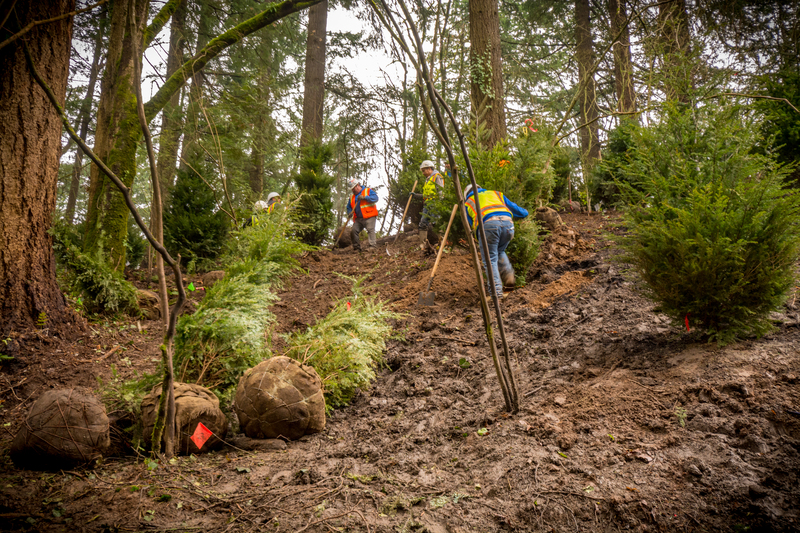 This Green approach was the North Star guiding the Cultural Crossing project and ensures the Garden can be enjoyed by all for generations to come. 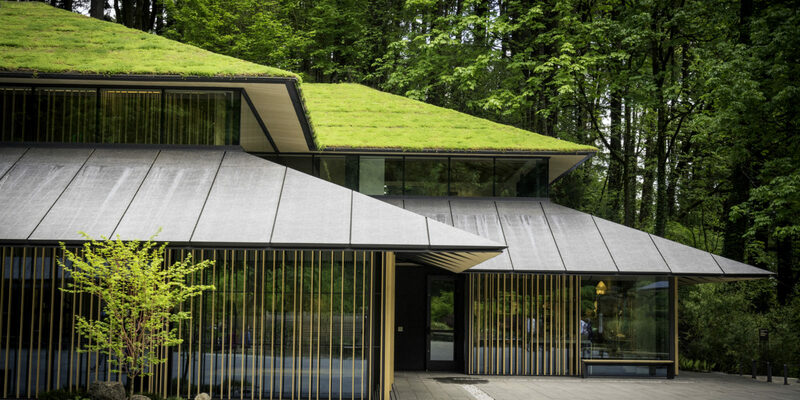 Ecologically responsible and environmentally conscious design was Kuma’s approach. This means that comfortable spaces – with basics such as ample light and natural ventilation – were considered on the same level of importance as natural and reused materials and optimum building performance. 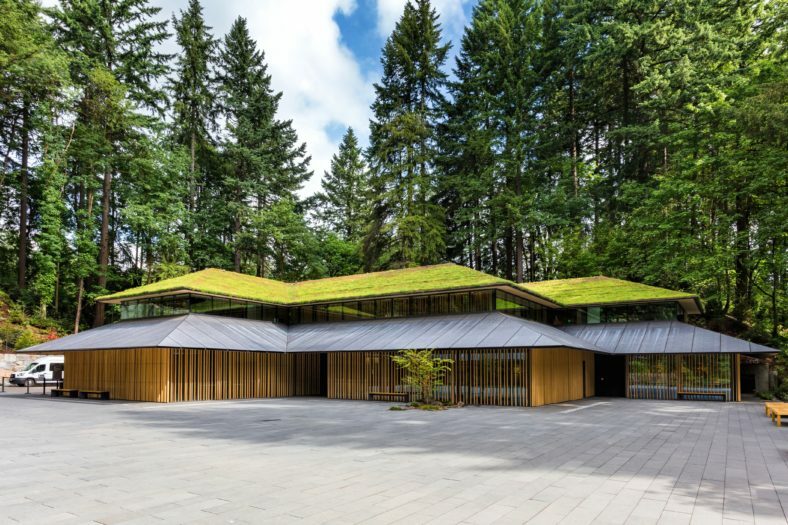 “Embracing the surroundings, insisting on natural materials, sustainability and transparency creates a space where people can experience nature more completely and intimately,” said Kuma.